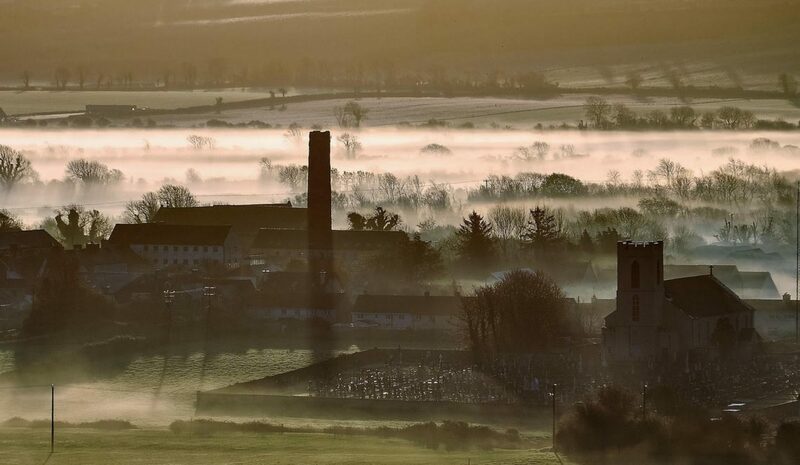 In the Cloyne Valley there are two distinct materials referred to locally as clay. The one we have been discussing up to this is silica. Its origin is in much doubt as thick beds of silica are most unusual. Millions of years ago the sandstone in this Valley was eroded by the action of water. Most geologists think that the silica is a freak deposit laid down after this and before the advent of abundant marine life which gave the overlying limestone. Whatever its origins, the fact remains that the Cloyne deposits are among the purest in the world, as the following analysis, kindly provided by the Cloyne Mineral Company shows. The other clay found in the Valley is colloidal, i.e. it remains in suspension in water without settling as most clays do. Its origin is in little doubt. The material resulting from the solution of the limestones in the vicinity was deposited in later caves in the limestone to form what geologists call a residual clay i.e. what is left when the bulk of the parent material is carried away in solution. The principal white silica deposits seem to be about 600ft in thickness and to run in two parallel belts, one on the north and one of the south side of the Cloyne syncline. Work stated in a new pit about seven hundred yards due north of the Aughane – Lisanley silica pits, and about a half-mile south-west of Cloyne. Here, yellow, red and blackish colloidal clays were located at from eight to twelve feet below the surface. Once again, the clay was dug out with pick and shovel and loaded onto the bogie to be drawn to the surface by another faithful horse. This time, however, things were getting more professional. Beamish’s store, on the quayside in Ballinacurra, was purchased and drying equipment installed to render the clay suitable for use. Two lorries were hired to transport the raw clay to the worsk in Ballinacurra. This loaded the wet material into tipping lorries which brought it to Ballinacurra. In 1936 the company began to ship its merchandise through the port of Ballinacurra. On the first of April, 1936, all hands were literally on deck; the whole workforce from Cloyne was brought to the quay in Ballinacurra to load fifty tons of Stellanite onto the M.V. Dewadden bound for Port Sunlight. The total quantity shipped in 1936 was 1,431 tonnes; and, in 1938, 1,725 tons. However, despite these indications of apparent success, two years after the first shipment from Ballinacurra, the Cloyne Colloidal Clay Company went into liquidation, but this time only for a short while. 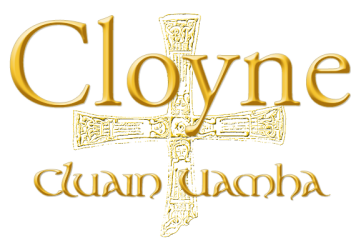 It reopened as the Cloyne Clay Company.